as if leaving is coming back in, again and again, consistently. To escape, she’ll dive into her imagination. Dive towards those who inhabit her dreamed everyday, as so many inner demons, so many images of her. Throwing herself towards the unknown, to take off better. 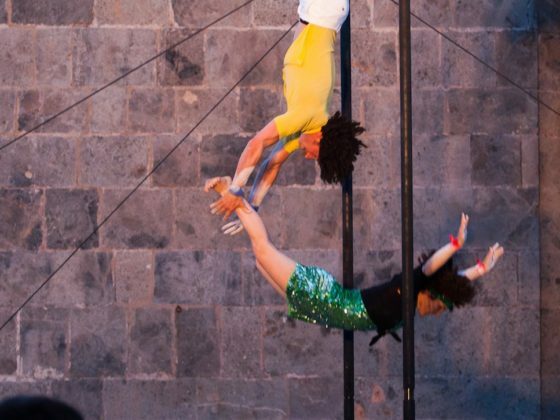 It all started in Lyon, at its circus school. 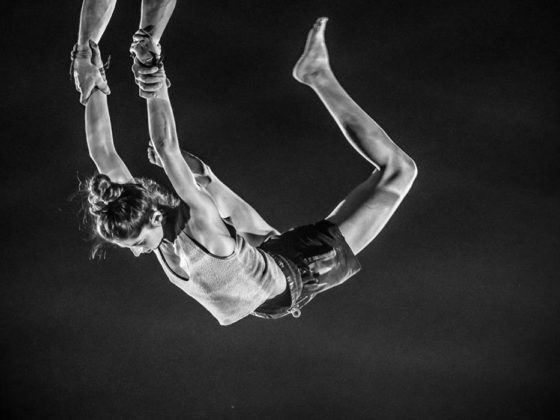 The essential of the team met there almost 20 years ago in a creation workshop for recreational circus. Under the gaze of Johan Lescop, the now director of company. Already the outlines of a friendship and an artistic identity were emerging. 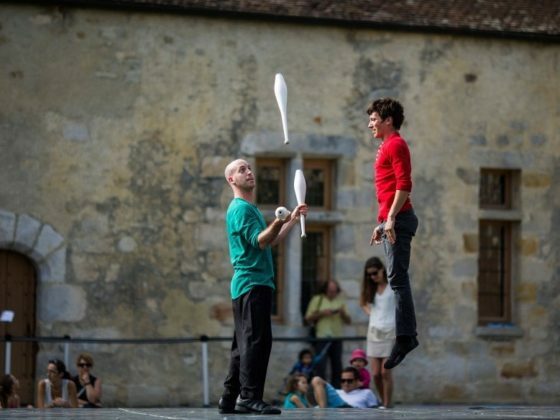 After having dispersed to finish their respective trainings at the Lido and at Lomme and having their first experiences working in companies (collectif AOC, cirque Têtes en l’air, cie Prise de pied…), they decide to reunite in 2009 to create company Lapsus – it was obvious, almost a necessity. 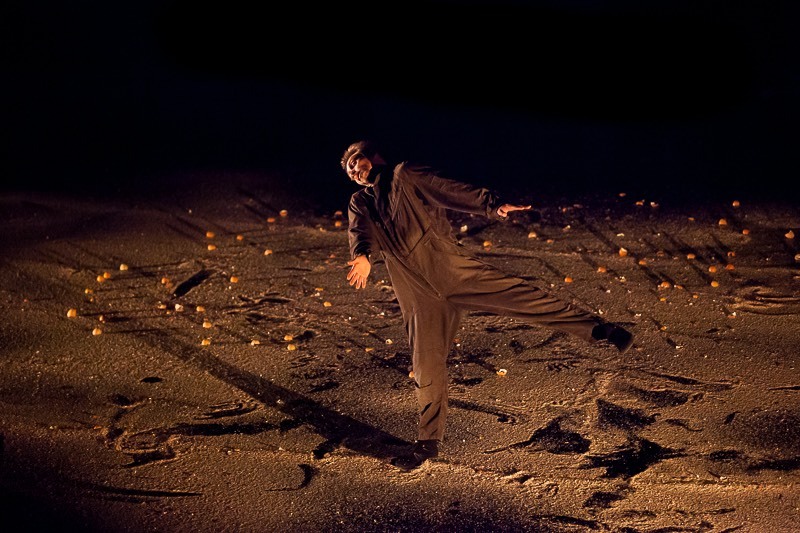 The show « Six pieds sur terre » opens in 2011 as a jubilant testimony of a recovered complicity. By sharing a collegial artistic approach, cie Lapsus affirms its desire to put the notion of the collective at the heart of their project, both for the artistic elements as well as in how the company functions on a daily basis. 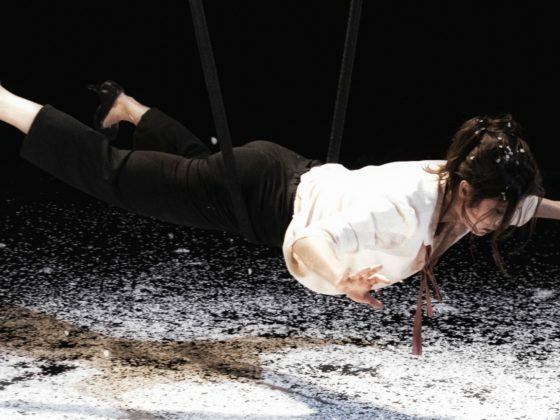 So, it was together as a team that they decided to go back into creation after 15à performances of « Six pieds sur terre ». 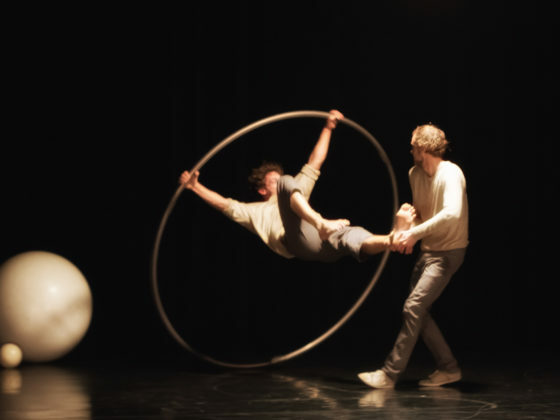 For this new show the collective is joined by Ronan Duée and Dorian Lechaux (Cie Puéril Péril), who the company has also met at the circus school in Lyon before the duo went to continue their training in Montreal. 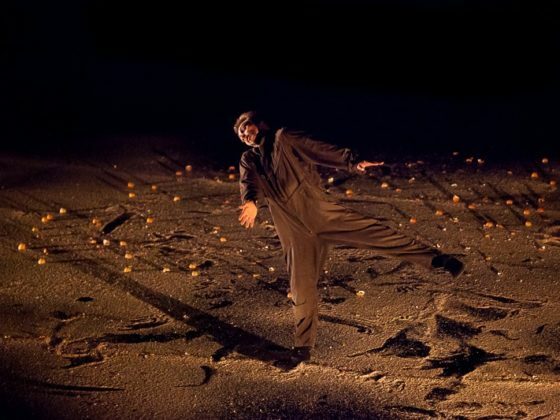 « Boutelis » premiered in November 2016.